Phenomenon of social media brought up many forms of self-presenting. People tend to share their accomplishments in every aspect of life – running, working out, travelling, good-hair day, relationships, etc. Ok, we can be happy for you, we know what to talk about when meeting you, we are motivated to go running, thanks. However, internet is full of meaningless pictures of activities we all do every day, like eating or getting dressed. 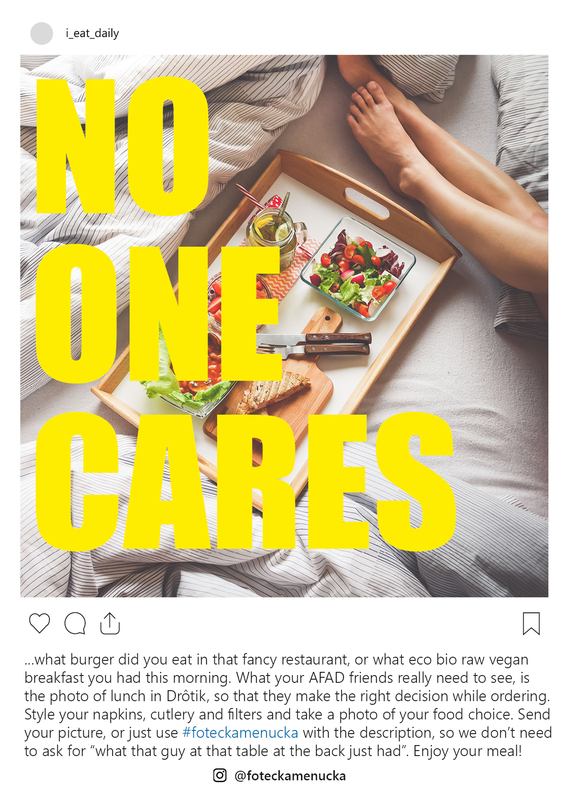 I´m not talking here about bloggers, who create inspirational content. What I mean, is that picture of scrambled eggs your friend posted on instagram, saying „breakfast“. 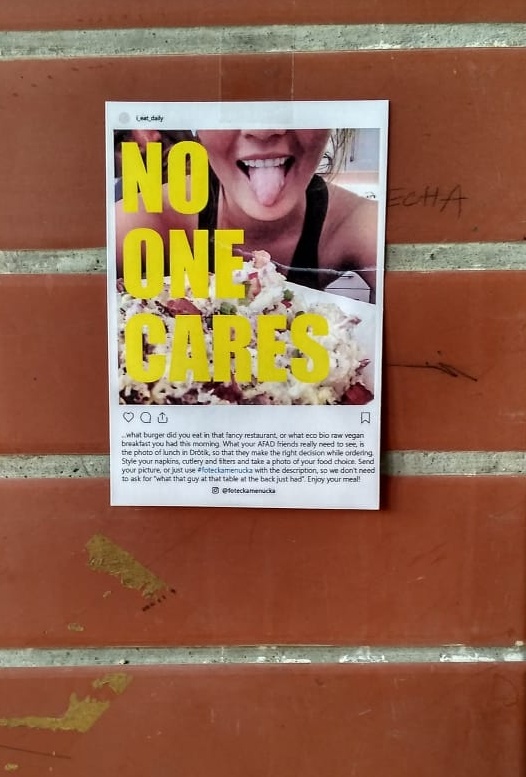 No one cares. 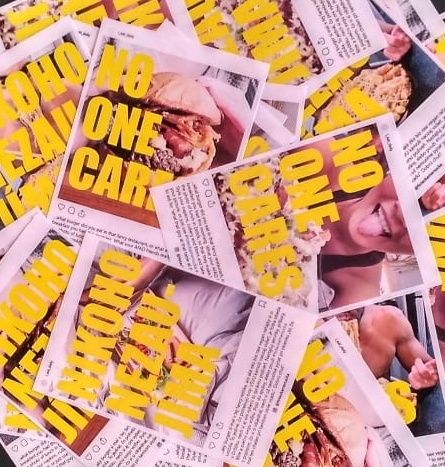 We all eat and we don´t need to see what other people eat. Or do we? At our academy, we have this snack bar called „Bufet Drôtik“, providing lunch menu. 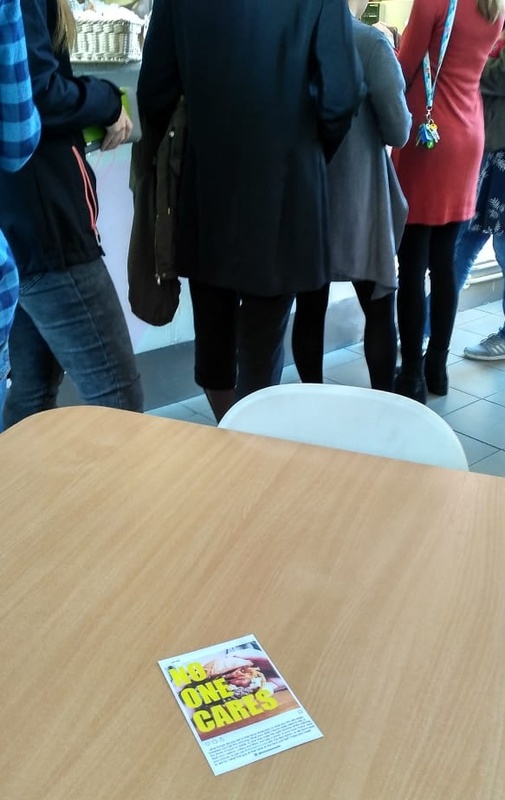 While waiting in the line, I have noticed, how people decide what to order. 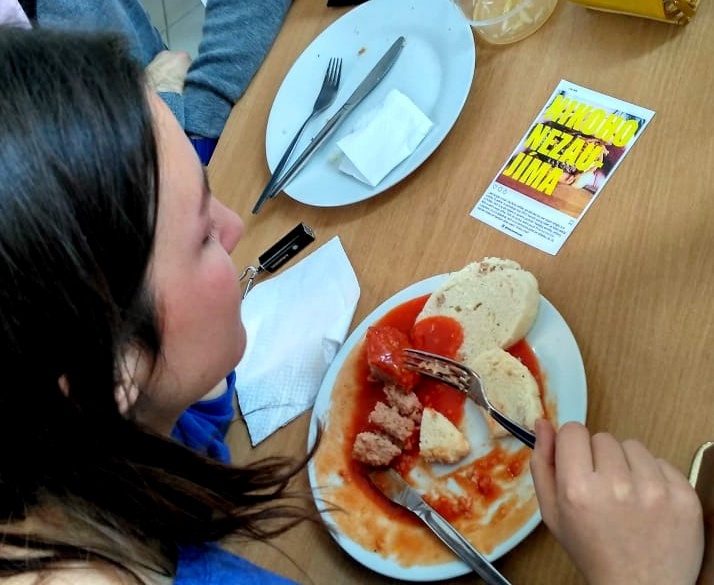 At first, they read the menu - understanding some specific food names is however difficult for foreigners. 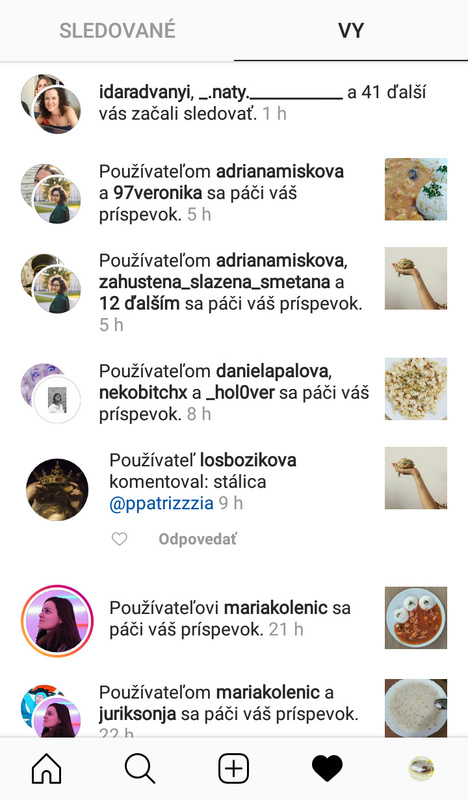 After choosing their favourite one (or still pretty confused), they inconspicuously look into the other people´s plates, catching quick glance of what that food looks like. Often their first choice is changed, when seeing something yummy on the next table. An idea came to my mind – internet is full of meaningless pictures of food, yet no one takes pictures that could actually help others. Just because it doesn´t look that fancy on the wall. I was thinking about some platform, where students could upload their choice of food and others could easily find it. 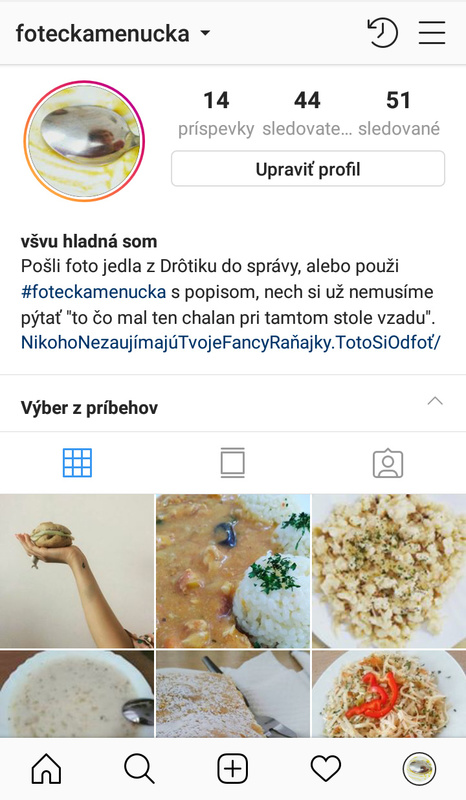 I ended up creating account and unique hashtag #foteckamenucka on instagram and made leaflets about this initiative, expecting people to send me pictures of Drôtik menu, or just use # and post in on their own. 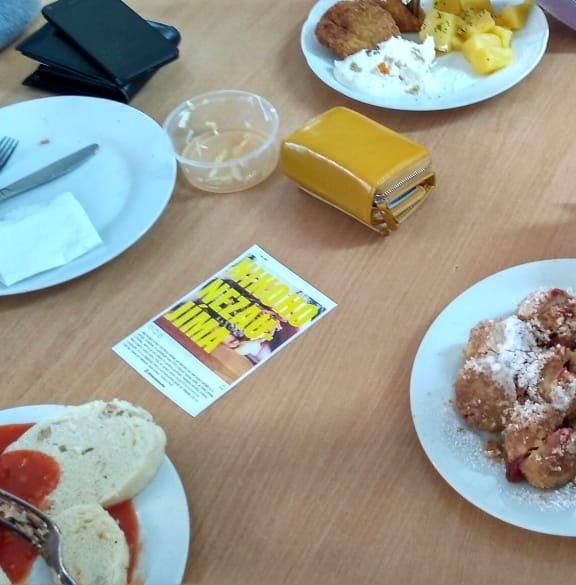 I got quite good feedback – people immediately started to follow it and I keep receiving new reactions every day Many students seem to have positive attitude towards this idea, however, only one person has send me photo of their food choice so far. I even asked my friends to send me something as a motivation „hey, look, someone actually send me this and it´s working, now, it´s your turn“. We will see if more people respond. To summarise this critical intervention, I would say, that people are mostly passive in their actions. They support your idea when they benefit from it (as seeing the daily menu online), but for making active step out of comfort zone and help others, a deeper motivation is needed. 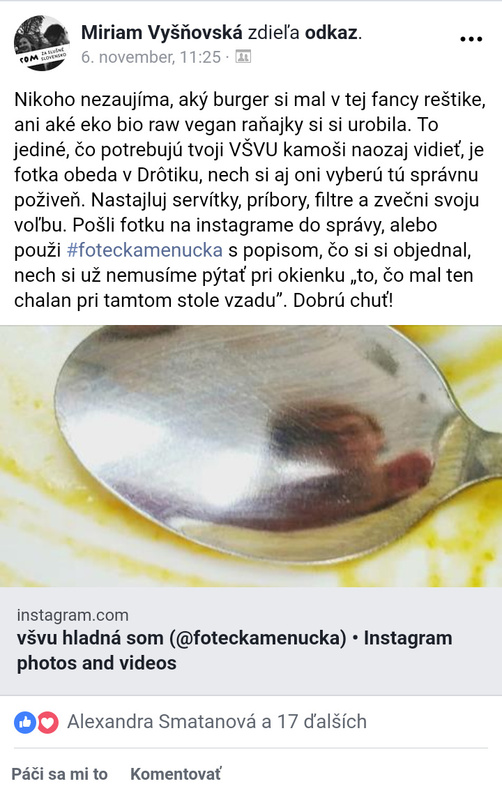 After all, I will keep taking pictures of the food in Drôtik and possibly create database of their daily-changing menu big enough to help at least non-slovak student understand, what „hlivové ragú“ is. 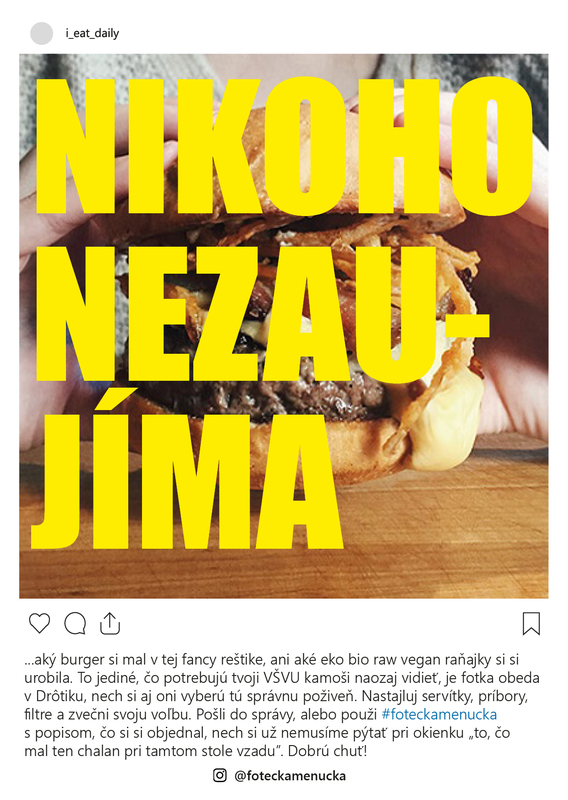 And of course, sharing honest, not well-styled photos of food that actually help someone, might be an inspiration for others to think about social media food content.